Daron Acemoglu and James Robinson conclusively show that it is man-made political and economic institutions that underlie economic success (or lack of it). Korea, to take just one of their fascinating examples, is a remarkably homogeneous nation, yet the people of North Korea are among the poorest on earth while their brothers and sisters in South Korea are among the richest. The south forged a society that created incentives, rewarded innovation, and allowed everyone to participate in economic opportunities. The economic success thus spurred was sustained because the government became accountable and responsive to citizens and the great mass of people. Sadly, the people of the north have endured decades of famine, political repression, and very different economic institutions - with no end in sight. The differences between the Koreas is due to the politics that created these completely different institutional trajectories. China has built an authoritarian growth machine. Will it continue to grow at such high speed and overwhelm the West? Are America’s best days behind it? Are we moving from a virtuous circle in which efforts by elites to aggrandize power are resisted to a vicious one that enriches and empowers a small minority? What is the most effective way to help move billions of people from the rut of poverty to prosperity? More philanthropy from the wealthy nations of the West? Or learning the hard-won lessons of Acemoglu and Robinson’s breakthrough ideas on the interplay between inclusive political and economic institutions? Why Nations Fail will change the way you look at—and understand—the world. The thesis that political and economic institutions are paramount to explain the success of nations, is well defended with documented examples. However, each idea is repeated several times. 5 hours would have been enough to contain all the content. Très bon livre, riche en exemples de divers horizons. Raisonnement parfois entrecoupé de quelques raccourcis réduisant l'aspect persuasif des arguments. I read Why Nations Fail this month while traveling in South Korea. The book was much on my mind as I looked across the DMZ at North Korea on the 38th parallel. South Korea, a country of about 50 million people, enjoys a per capital PPP (purchasing power parity) GDP of around $32,000. (The U.S. is $48,000 by comparison - wealthier but also with a less equally distributed income). In North Korea, the GDP per capita (PPP) is $2,400 - an incredibly low numbers that still probably understates how desperately poor (and hungry) are the people of North Korea. Why should North Korea be so poor, and South Korea so rich? The two countries share common cultural roots, geography, and access to natural resources. This is the question Acemoglu and Robinson attempt to answer in Why Nations Fail. They look at examples such as North Korea, as well as other natural experiments of societies that share similar exogenous traits (resources, climate, etc.) - such as the twin Nogales's in Mexico and Arizona. Acemoglu and Robinson's explanation as to why some nations are poor and others rich has everything to do with the elites. Poor nations are poor because the people who run these countries have made their subjects destitute in service of enriching themselves. North Korea can best be understood as being run by a criminal family. Mexico is so much poorer than the U.S. because of its history of being run by elites whose main goal was to extract wealth, and who did not need to redistribute economic production as for most of its history the country lacked pluralistic institutions that could check the power of the rulers. This argument, that some countries are poor because the powerful keep them poor, stands in direct opposition to the arguments that Jared Diamond makes in Guns, Germs and Steel. 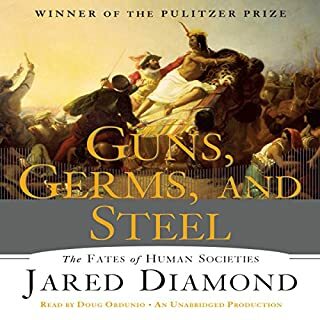 Diamond believes that the wealth distribution was largely pre-determined by immunity to disease (or lack thereof), access to domesticable livestock, and the raw materials and technologies to make advanced weapons. I am a huge fan of Diamond's writing, but Why Nations Fail has me thoroughly convinced that more deterministic view of development (as put forward by Diamond and others) is problematic. Why Nations Fail should definitely be on the syllabus in any economic history or development course, and on the bookshelf (physical or virtual) of anyone interested in global inequality, poverty, and why some nations are so much richer than others. Should you invest the time to read Why Nations Fail? 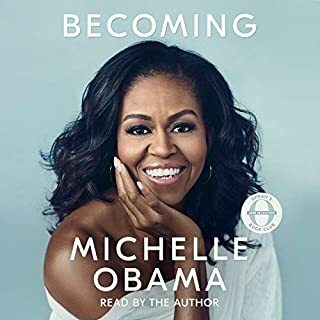 The book is 544 pages, or almost 18 hours by audiobook (my reading choice). 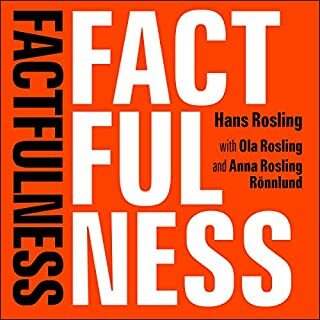 Acemoglu and Robinson would have benefited from a strong-willed editor, one who was willing to push them to provide less historical detail (the book has a ton from around the world across numerous societies), and more analysis of the implications of their arguments for countries like China and India. 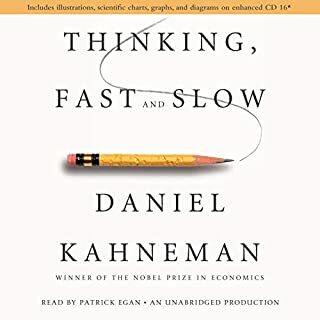 I came away from Why Nations Fail thinking that if the argument is correct then China's long-term economic prospects might not be as good as we assume, and India's may be better. But having spent time time in South Korea, which developed so rapidly at least partly under a repressive military regime, it is hard to square this conclusion with the recent facts of some of our fastest developing countries. Perhaps Acemoglu and Robinson next book will take outliers and implications, building on top of the theoretical foundations for development and inequality laid out in Why Nations Fail. 89 sur 96 personne(s) ont trouvé cet avis utile. Acemoglu and Robinson’s central thesis isn’t hard to understand: countries with inclusive, equitable political and economic institutions tend to prosper, while those with extractive, exclusive institutions geared towards the interests of a small elite tend to languish. The authors minimize geography and culture as significant factors in the equation, pointing to nations where those realities are similar but political systems vary. The dynamic exists, the authors maintain, because the interests of an exploitative elite and those of regular citizens are usually in conflict, so the elite must actively block democratic movements, workers rights, unions, property rights, innovation, etc. 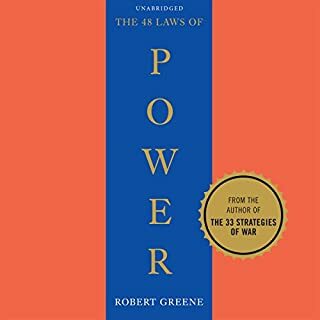 in order to maintain a hold on power. In more inclusive systems, meanwhile, there is a virtuous circle effect, in which opportunity breeds motivation and meaningful choice, while making it hard for anyone to consolidate too much power over others. It’s a strikingly simple hypothesis -- a little too simple, I think -- but the authors back it up with a wide set of historical cases, ranging from post-Renaissance Europe, to the colonial Americas (noting the different approaches taken by English and Spanish settlers in controlling their territories), to post 17th century Britain, to the United States (monopolies and trusts are discussed), to the Arab world, to the Soviet Union, to modern Africa, to North versus South Korea. Even if you more or less accept the book’s ideas, the details are still informative. If you’re not familiar with the political differences between imperial Spain and England, they cast quite a bit of light on the separate paths taken by the two former world powers -- and their former colonial possessions. Similarly, you don’t appreciate what apartheid meant for South Africa until you’ve contemplated just how the system was structured to impede blacks from becoming more than cheap sources of labor. As was a problem in the US, too. The examinations seemed politically balanced. Communist governments taking a drubbing, and the authors argue that China’s rapid growth as orchestrated by Bejiing is unlikely to be sustainable unless the Party relinquishes more of its grip. But Acemoglu and Robinson also pay attention to how capitalist monopolies undermine democratic ideals, as do weak or corrupt central governments that lack the power to enforce laws and protect individual rights. The book has its blind spots, though. I simply don’t agree with the authors that geography doesn’t matter. Most wealthy countries, it seems to me, have inclusive systems, but were also blessed in resources, either obtained locally, or extracted from some other region. It’s easy, for example, to see a country like the Netherlands as owing its prosperity to being a liberal democracy, but that’s not the whole story. The Netherlands got started on a path to prosperity because it set up exploitative trading companies during the colonial era and eventually reallocated the wealth into new ventures. I also think that geopolitics is underrepresented as a factor. South Korea and Israel might be successful countries in spite of tough landscapes, but both enjoyed massive military and economic support from the United States, enabling technological economies to flourish. It’s not that a country like Zimbabwe has no chance of becoming a technology center, but it would have to find a way to produce skilled workers who can compete in the global economy, without being tempted to emigrate. All in all, the ideas that Acemoglu and Robinson promote are important foundational ones, but should be considered with their blind spots taken into account. 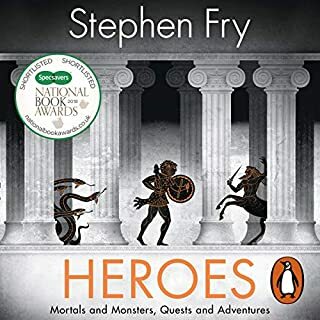 Readers interested in history for its own sake might enjoy the case studies; if not, the themes are pretty repetitive. 47 sur 51 personne(s) ont trouvé cet avis utile. The central tenet of this book is simple. Nations fail when they have extractive institutions and nations prosper when they have inclusive institutions. An extractive institution ‘preys’ on people so that they have no personal incentive to be productive. Power sits with a few or a group of individuals who typically don’t want to share the spoils and suppresses innovation for fear of “creative destruction”.Inclusive institutions, on the other hand is one in which you can build your own reputation, where power is shared and where you can pick the fruits from the tree that you planted (metaphorically speaking). Acemoglu begins with a portrayal of the city Nogales, located on the Rio Grande. Until 1918 Nogales was one city, with one history, one climate, shared institutions and so on. However, since the city was split into two, the Mexican and the American part of the city have had very different trajectories. Today the GNP per capita in the American part of Nogales is almost twice of that in the Mexican part. More children go through education, life expectancy is higher etcetera etcetera. According to Acemoglu, the cause of this divergence is the difference between the institutions on either side of the border. In Mexico setting up a business you had to get past a lot of bureaucracy and corruption and one could never count on property rights being respected. On the American side on the other hand institutions would help people start a business. Through positive feedback (or the virtuous circle), what was initially a small difference grew larger and larger and eventually grew into the difference we see today. The same type of differences can be seen on a global scale where countries with extractive institutions, because innovation have been discouraged, are much much poorer than nations where innovation has been encouraged and rewarded. The most significant point in history was probably the industrial revolution. Those countries, such as the UK, that adopted the new methods eventually became prosperous, whereas the countries that saw the revolution more as a threat did not fare so well. Is the author’s analysis correct? Acemoglu provides many examples to support his thesis, including analysis of the Soviet Union, China, Botswana, South America and the middle east, to mention a few (it is because of all these case studies that the book is so long). However, when it comes to historical analysis such as this, I believe there is always a significant risk of confirmation bias. As Acemoglu notes, some nations with extractive institutions have and do experience significant economic growth. Take for example the soviet union which, for a while, did quite well. Today we have China which Acemoglu also consider to be extractive because most businesses are owned by the state. The author explains that extractive institutions and nations can generate a limited amount of growth but that unless they become inclusive and innovation friendly that growth will wane. He therefore makes the bold prediction that China’s growth, like the soviet union’s, will cease when living standards reach a reasonable level. I think there is little doubt that inclusive institutions are better than extractive ones and politicians should certainly strive to make the entire world more inclusive. In this the book is quite convincing. Whether Acemoglu’s more controversial conclusions that China’s growth will stop unless they become more inclusive or that foreign aid to countries with extractive institutions will mainly benefit the parasites already in power, are true remains to be seen. Overall this is a good book and the reader will get a comprehensive analysis of history and the implications of various political movements. 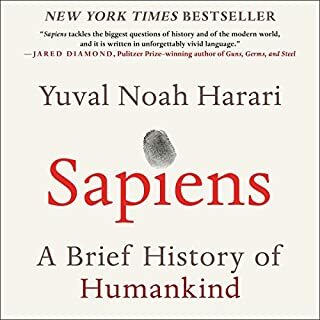 For me however, the book was a bit too long (like this review maybe), and I experienced a loss of focus in the middle of the book because it felt like just more of the same. I would have given the book 4 stars if it had been a bit more condensed and less repetitive. Then again, other readers might like this. 'Don't Miss' for politics, history and economics lovers. 'Why nations fail' is one of the best books I read so far, in terms of the compelling arguments and astonishingly simple reasoning to explain the inequality that persists in the world today. Almost all the economies in the world in the context of their political institutions and polices are presented in a chronological order starting from as much as BC. The insights presented are thought provoking, eccentric and highly exemplified with historic events dotted along the course of time. 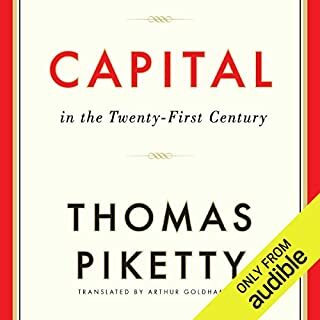 Must read book for anyone who likes to know why certain countries like USA, South Korea, Japan, UK etc., are rich while others are not. The reason for it is rather simple and obvious at a second look. 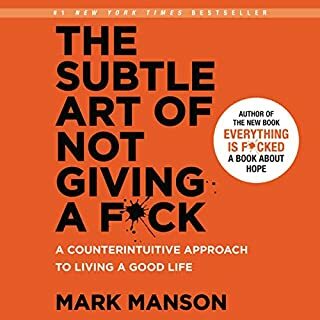 One of the best book I have read . For the narrator , it is “Ching Dynasty” not King Dynasty as you read Qing. 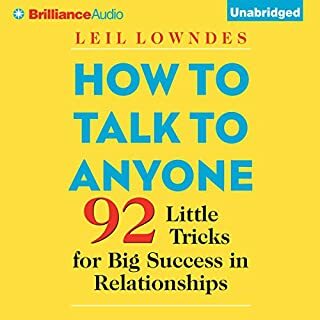 I plan to listen at least one more time on this book! Bad (as) Economics. Worse (as) History. I am absolutely shocked at the positive reviews this book has gotten, both from people on this site and from professional economists. At its core, this book is nothing but a hodgepodge of just-so stories: every nation that succeeds had something right in its institutions, and every one that failed had something wrong. While there's undoubtedly some truth to this, the authors give very little criteria for determining just what good institutions are, or advice for how they can be fostered. Oftentimes, when economists invade and colonize other disciplines, great things can happen (think education theory); but in this case it's clear to me that two economists (not even economic historians) tried to take on what is really straight-up history, and did a rather terrible job of it. (What on Earth is the story of Pocahontus doing in this book? And the part on the ancient Maya is a joke.) Again, I think there's undoubtedly some truth to the broad *institutionalist* school of development theory. But (one of) the big criticism(s) of the institutionalists is that it's all buzz words, and when things go right credit good institutions, and when things go wrong they blame bad institutions, and they have no concrete understanding of what elements of a nation's institutions matter, or advice for what to do to improve things. A&R do nothing to dispel these criticisms. 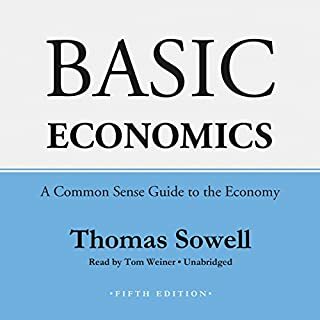 Alternative books that cover some of the same ground: If you're interested in development, I recommend "Poor Economics". 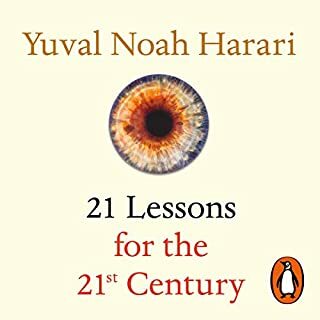 If you want *big history*, I recommend "Why the West Rules for Now". If you just want cool stories about the colonial period, which is a lot of what A&R spend their 18-hour book on, check out Landes' "The Wealth and Poverty of Nations", strangely not available in audio. 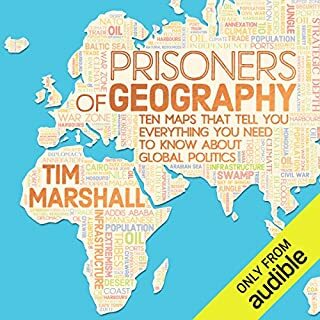 I'd like to recommend something on the institutions v. geography, etc. 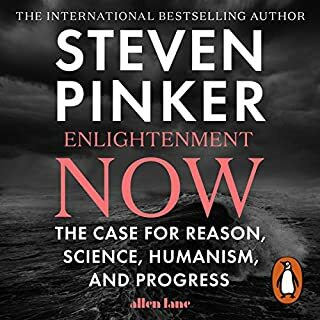 debates that have eaten up development economics, but honestly I don't think there's a good intellectual history out there, and this is definitely not it. I'd say William Easterly ("White Man's Burden") does a little better job at making the thesis relevant, but I'm not a huge fan of him either. And I can't really recommend anyone actually read Jeffrey Sachs. The first chapter in "Poor Economics" goes over things a little. 46 sur 61 personne(s) ont trouvé cet avis utile. i live in Argentina, ij one of the extractive economies the authors mention in the book. Thus, I have actually recommended it to my friends a hundred times over. 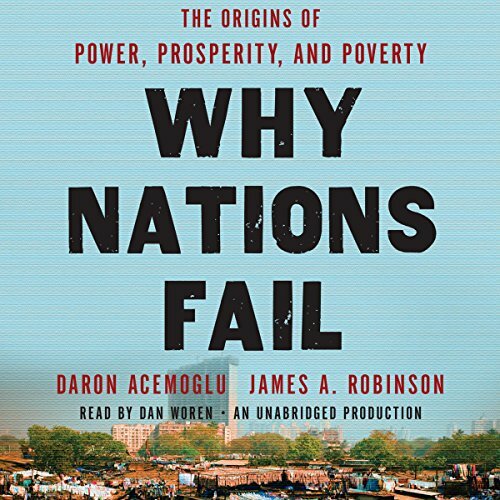 Would you listen to Why Nations Fail again? Why? 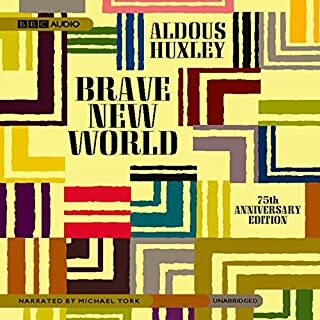 One of those books where you go back and re-listen when it is over. As I rode the train across the midwest I stared out the window and was completely mesmerized by the chain of history laid out and the results we live with today. Turned my assumptions about cultural and geographic advantages on its head, replaced them with the social and economic influences that are the motor of history. 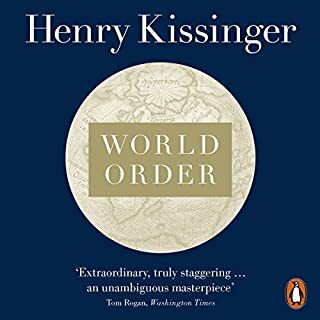 Having just finished Graeber's "Debt", this book compliments the history of influences that make up modern nations, and shows the perils of the 1% face if left to their own devices. If I hadn't heard an interview by the author on the Majority Report, I would have dismissed this book as another End Times screed I avoid. In reality the book is why economic systems rise and fall no matter the nationalistic or political trends. From socialistic dictatorships to ancient empires, the institutions we build determine the fate of nations. I wish the authors had more to say of the upheavals in our own economy in recent times and the influences that brought us here, for instance for all the benefits of the Glorious Revolution in England, why are they now a nation in decline and austerity? I guess they as educators want us to draw our own conclusions about current events, dots are defiantly. being connected in my own mind. What about Dan Woren’s performance did you like? Solid, steady narration that is meant to be read aloud. Book repeats itself again & again. Authors need an editor to trim all that verbiage & trash those unnecessary sentences. A reader's digest condensed version should make this book readable. What could Daron Acemoglu and James Robinson have done to make this a more enjoyable book for you? Learn to write more pithily. Was Why Nations Fail worth the listening time? Came highly recommended but quite disappointing. Beats each point to death. Redundant reiteration of summary point to ad nauseam. A good argument for getting rid of monopolies. 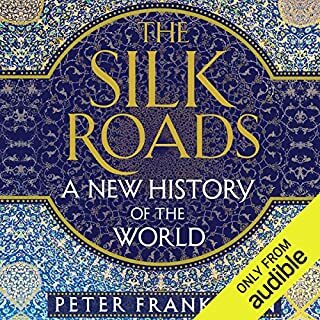 Where does Why Nations Fail rank among all the audiobooks you’ve listened to so far? At the top of the non-fiction genre. This theory, along with those of Diamond and others who look at the end of various nations, go far to explain why an inclusive economy -- one that works for the vast majority -- is the best for preserving a nation over the long haul. I always thought law and order came first in growing a nation's economy, but Acemoglu & Robinson site security of private property as the basic incentive for personal productivity. If you have a stake in how your property is used for income, you have incentive to preserve it for your children. I think this means over paying CEOs and under paying the producers of product/service is bad for the overall economy. Diamond sites environmental devastation as the major downfall of nations. I see environmental abuse as just another way the CEOs and huge companies take value from the system and leave devastation in their wake. These companies look for huge profit now for a small group of top executives and investors instead of long-term economic growth and sustainability for all the employees and their families. If America’s economy fails, it will be on the backs of the leaders of huge corporations and of the political leaders who enabled them. 5 sur 9 personne(s) ont trouvé cet avis utile. Wer einerseits Interesse an Geschichte, hat und andererseits an Politik ist bei diesem Hörbuch richtig. Es versucht ein Erklärungsmodell für die rational gesehen heutzutage fast unerklärliche Ungleichheit und Ungerechtigkeit und bitterste Armut in der Welt zu finden. Nicht jeder wird dem Autor in allem zustimmen aber hochkomplexe Zusammenhänge werden definitiv hochspannend analysiert. Schockierend ist, in welch hohem Ausmaß Staaten von Verbrechern und verbrecherischen Gruppierungen regiert wurden und werden, die für den eigenen Profit über Leichen gehen. Schade ist, dass das Buch keine Analyse der Entwicklung in Deutschland bietet. Allowing individuals to take their own destiny in their hands and giving them the power to pursue allong the chosen path is the recipy for success. 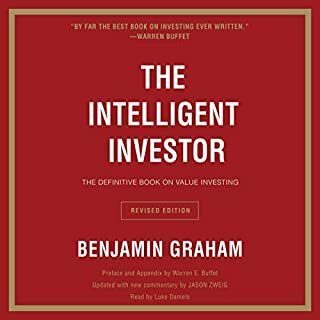 This is the basic thesis of the book and as such an "en vogue" book , let it be said with much more details, with more case studies and in a clear and consise language. A must to readers that are not yet familiar with these theories. The title "why nations fail" however also express the shortcoming of the book. The obvious question: why nations only can fail and are not subject to creative destruction is never asked. For a five star rating I would have prefered a book with title "creative distruction of nations: a solution to poverty?". Was hat Ihnen am allerbesten an Why Nations Fail gefallen? Great narration! As for the book, it is an impressive historical summary of many countries and regions. Yet, while I totally agree with the main premise of the book - need for inclusive political and economic institutions, I think the book could do more on exploring the causes of such institutions. It is unclear why authors so aggressively criticize other theories of growth, as they could be helpful. Also some questions are left unanswered. For example, why should it be given that society with inclusive political institutions would never vote to restrict technological growth or economic openness? The case in point are new populist regimes in the U.S. and other countries. don't know if it is me or the book. i hardly remember what it was about. there are many interesting points from history, but the feeling is that they don't lead anywhere. no conclusions, no anchors. authors keep referencing the previous chapters, but they sound all the same to me. thus my review. It shows very impressive why it is worth to fight for inclusive political and economic institutions. Furthermore it states clearly that political and economic institutions can't stay inclusive if one side isn't inclusive.